You’ve heard of drugstore makeup and you’ve heard of high end makeup. Have you tried Indie makeup? Indie makeup is this whole other side of the cosmetics world. They are usually operated by one or two people and work from home. Their products are usually loose minerals but many companies are starting to make things like lipsticks and pressed shadows. The main reason I buy from indie companies is because I like to support small businesses. When you buy from these companies you know where your money is going to. Face primer from Darling Girl. Works just as great as stuff from Benefit or MUFE but for a fraction of the price. Also, indie companies make really unique colors. The owners really challenge themselves on creating interesting products. They stay unique in order to not only compete with other indie companies, but also the rest of the cosmetics world. They have some really great prices! And you can order samples to try stuff out (not everyone wants to commit to a full size neon blue eyeshadow)! I’m specially a sucker for indie brands when they do crossovers with my other interests, i.e. geeky fandoms. Many of them will make a collection around a certain theme. 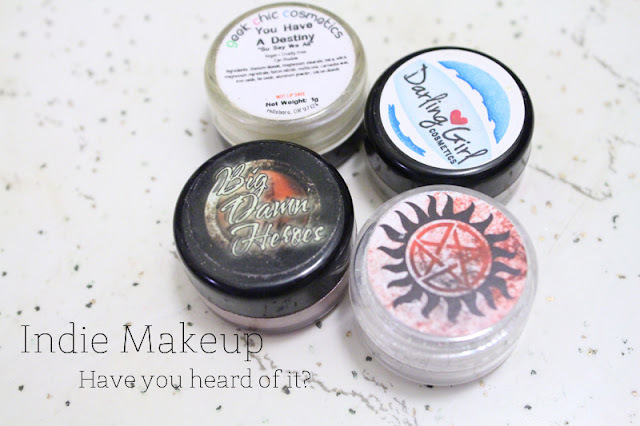 One of my favorite companies is Geek Chic Cosmetics who has collections from Doctor Who to Battlestar Galactica to the Princess Bride. Darling Girl Cosmetics has a shade called “My Little Pony” that rivals anything from MAC. This is the most difficult thing to photograph. It's a pinky-mauve color with a green duo chrome. When I wear it, I usually use NYX Milk's jumbo pencil as a base, but it also looks amazing over a black base. On the left eye I have a quick wash of the eyeshadow. Ugh, I wish you could see the green shift! On the right eye I patted it over NYX pencil in Milk. Hardest eyeshadow to photograph! But I swear, it's perfect. Indie companies also are super conscious about their ingredients and practices. Many will cater to vegan lifestyles and definitely avoid animal testing. They care about the ingredients that you are constantly putting on your face so when you read the ingredients list you will probably recognize everything they are using (or can easily look it up). But a word of caution, like any other purchase please do your research. While there are many great companies to buy from, there are still those who look to take advantage of people. 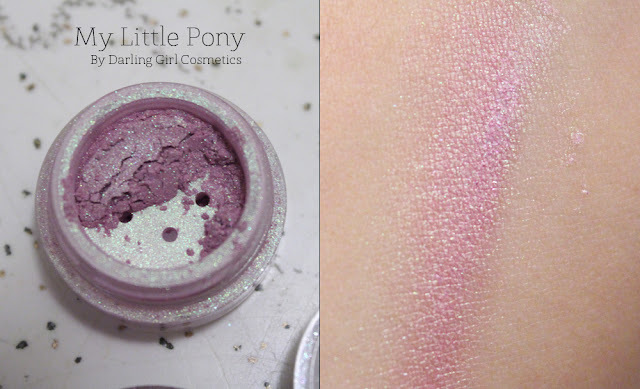 For example, glittersniffer cosmetics developed quite a negative reputation due to bad customer service, and more importantly, unsanitary practices. You also need to beware of things like repackaging. Repackaging is when companies buy mica powders (the pigments) from distributors like TKB Trading and resell them unmixed at over 100% of their cost. The beauty of indie companies is the creative ways they combine micas and other ingredients to make new colors! Anyone can buy from TKB Trading, it's not exclusive to these companies. Check them out and let me know if you find any new favorites! Also, bonus points to who can name the 3 shows the eyeshadows in the first picture are from. Those are some great sites, thank you. I have been buying from Fyrinnae for awhile now and they have beautiful colors, but the website is not always functional. Shiro has Zelda inspired eye shadows...I think I've died and gone to heaven! !